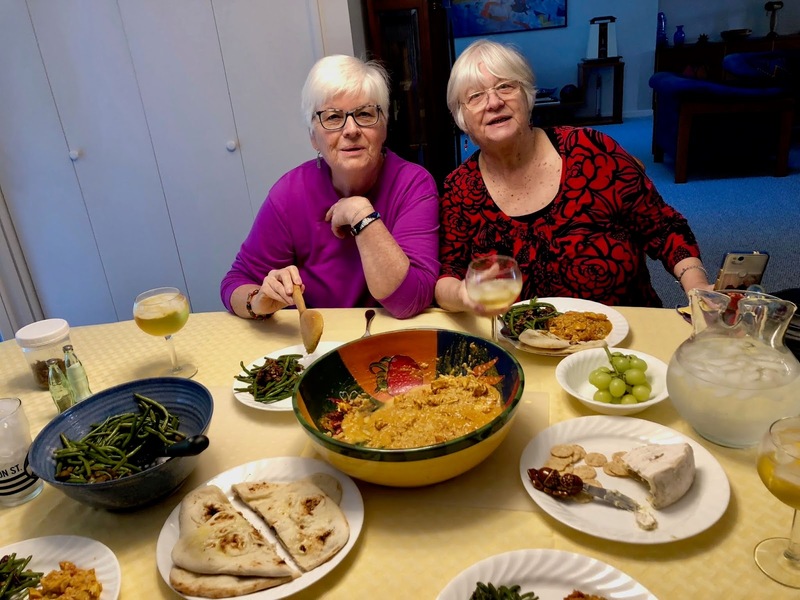 Yesterday my younger sister Denise hosted her own birthday luncheon at her house. She's on the left, elder sister Roberta on the right. 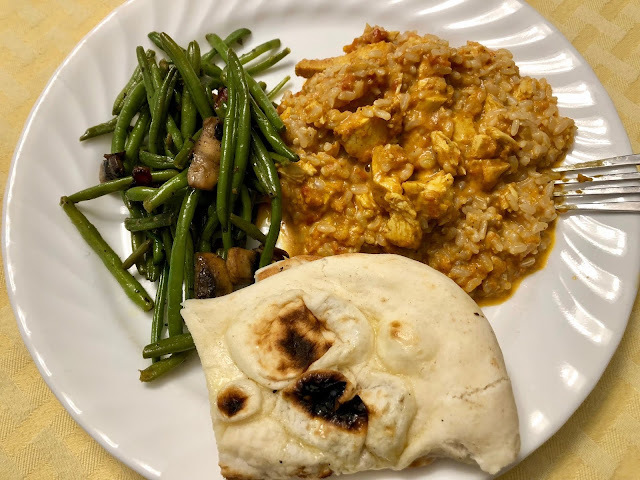 Denise is a fabulous cook and prepared "Butter Chicken" in her Instant Pot, and served over rice, and Naan bread. Her hors d'oeurvre was a mushroom Brie with rice crackers and big juicy green grapes. YUM! Butter chicken or murgh makhani is a dish, originating from the Indian subcontinent, of chicken in a mildly spiced tomato sauce. 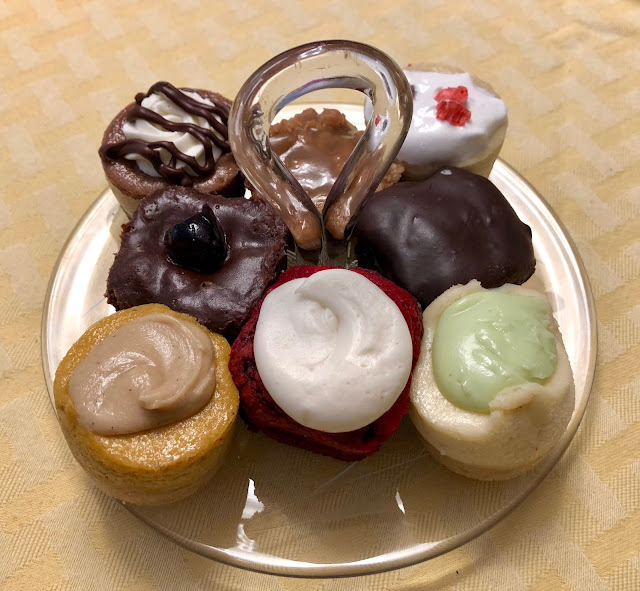 Shirley's gift was this lovely etched glass serving tray which she had added these delicious dessert bites. These are called "Love Bites" by Carnie Wilson. Delicious little cheesecakes, brownies and cakes. YUM! 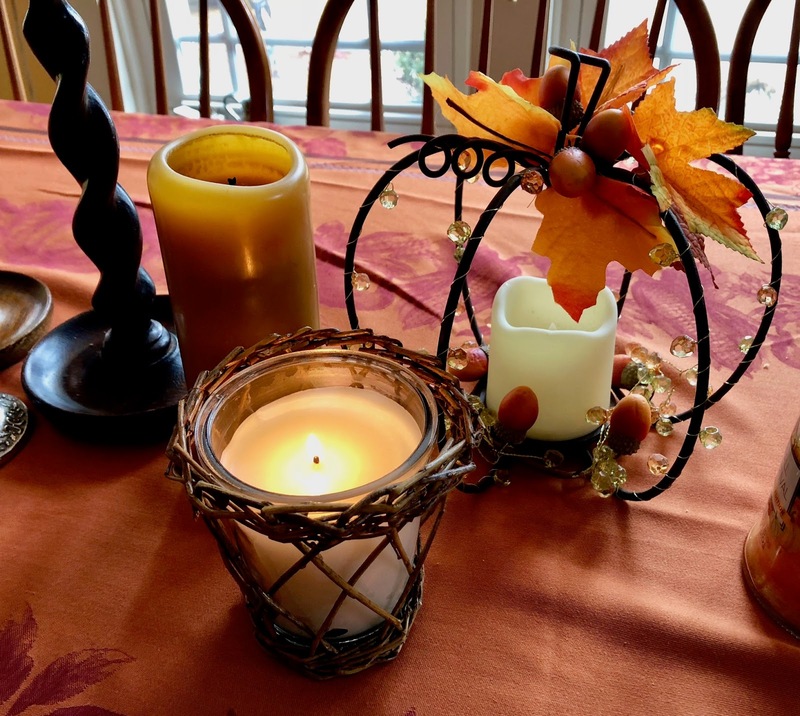 I gave my sister a Willow Candle by Park Hill Collections. I have one that the scent is "Corner Bakery" which I loooove. I wanted one of those but the shop was out of that scent, so I got her the "Bundled Evergreen" scent which is a light pine scent. And so.. the election was yesterday. Progressives such as myself hoped for a more thorough victory for a positive change. But we DID win the House of Representatives! PLUS, many new women were elected of different ethnicities which I'm pleased about. I was disappointed that Beto O'Rourke of Texas and Stacey Abrams of Georgia lost their Senate run. Unfortunately the Republican male winner of the Georgia election was also in charge of over-seeing the election and he did some terrible meddling with the election which makes me angry. Your sister's birthday luncheon looks delicious and what nice gifts! 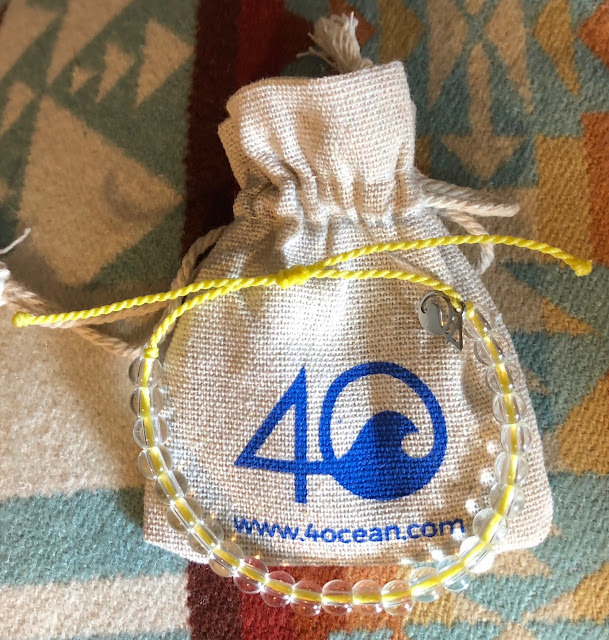 I am going to check our your ocean bracelets I know a couple of people who would love them and how they are made. Like you, I was hoping for a bigger change in our political climate, but small steps forward are better than none, right? Gosh things are changing for you Teresa, but that is life. I'm glad your son and Kristi will not be too far away and you will still see your grandsons a lot! Such good news that your son and his family are now in a position to buy their own home. Although I am sure they will be greatly missed. We use that syrup all the time it is quite a versatile addition for all sorts of sweet treats. Love the bracelet. There can never be too many chairs at a table. I envy you the closeness of your family . I told myself before the election that winning the House would be enough. So that happened, but I confess, I hoped for more. But, I take heart in the fact of how close those gubernatorial elections were. Also, even more heartening, the diversity in new office holders is unprecedented. But the best takeaway was the outstanding number of voters! Especially the young folks! Sounds like some new and exciting changes in your world! I know you'll miss your son and his family. What a busy household! Congrats to Travis & Kristi on their new house. 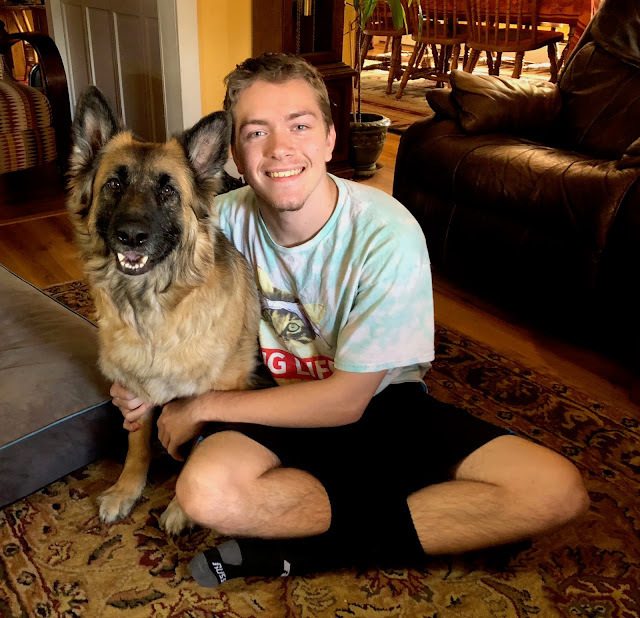 I know you will miss them (and all their help!! ), but so nice that they will be close by and you will still see the boys frequently. Your sister's birthday luncheon looks delicious Teresa!! Happy birthday to Denise! How wonderful that your son and fabulous daughter in law will be very nearby. I so wish My Allison lived nearby. For now, we are thrilled Zach is in reach of a hour plus drive. i want all those love bites!!! 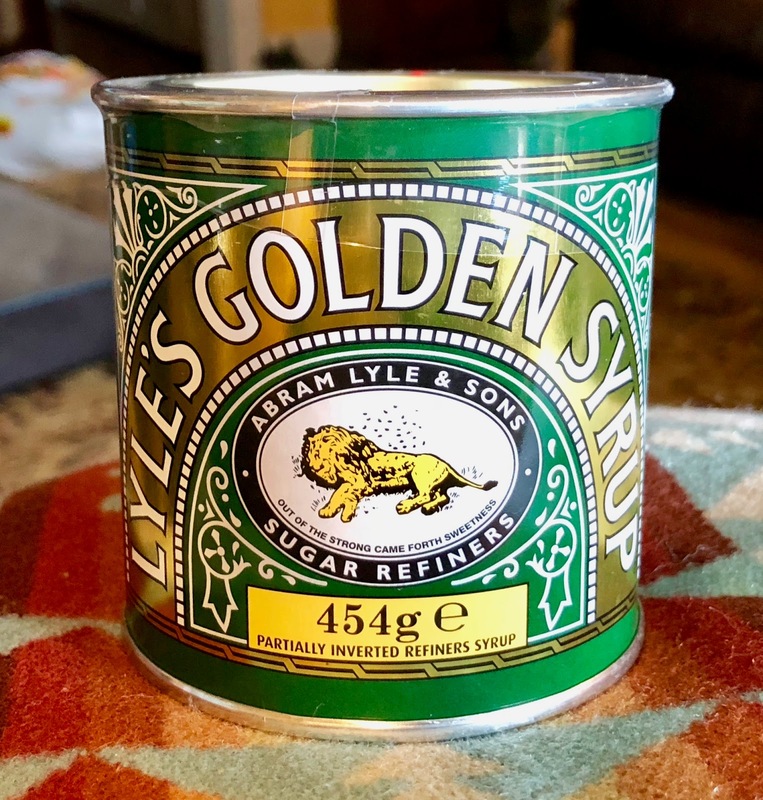 I am a biased Brit, but I prefer golden syrup to corn any day. Out of the lion came forth sweetness. How wonderful that your son's family have found a house and that your oldest grandson is living with you for a bit. I bet the little ones, who aren't that little anymore are enjoying him so much. You have such a welcoming home no wonder they all want to live with you.